The Institutional Development Award (IDeA) program broadens the geographic distribution of NIH funding for biomedical and behavioral research, and fosters health-related research. Supported by the National Institute of General Medical Sciences (NIGMS) of the National Institutes of Health, the IDeA program increases the competitiveness of investigators by supporting faculty development and research infrastructure enhancement at institutions in 23 states and Puerto Rico. 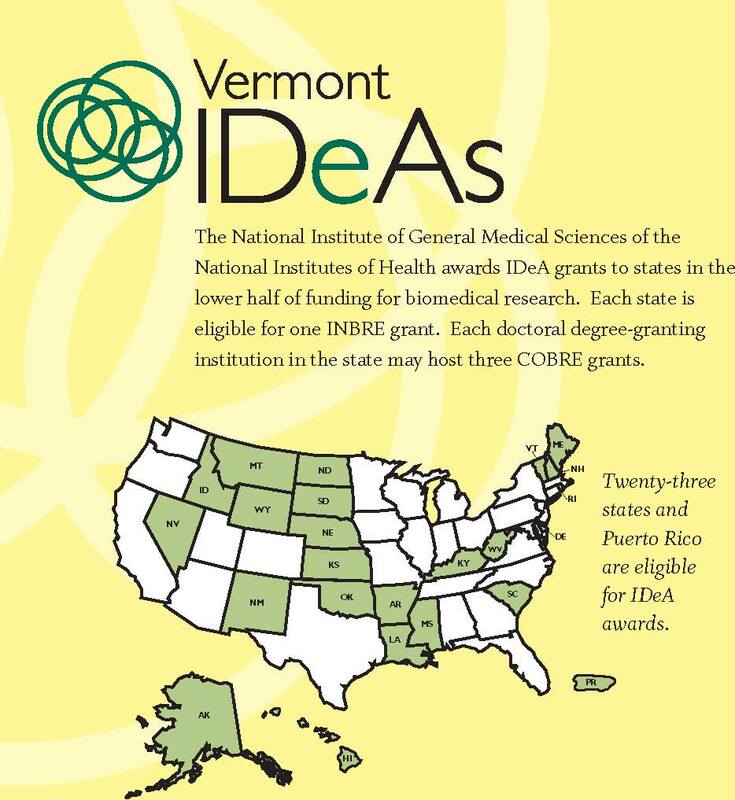 The Vermont Genetics Network (VGN) is in its second phase of funding with a five‐year $16.5 million award from the IDeA Networks of Biomedical Research Excellence (INBRE) program of the National Institute of General Medical Sciences at the National Institutes of Health. 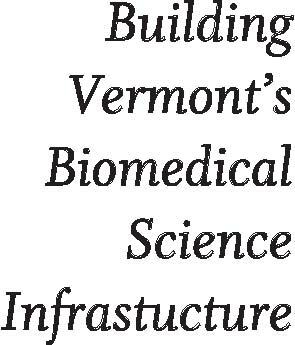 The mission of VGN is to build human and physical infrastructure in Vermont for biomedical research. 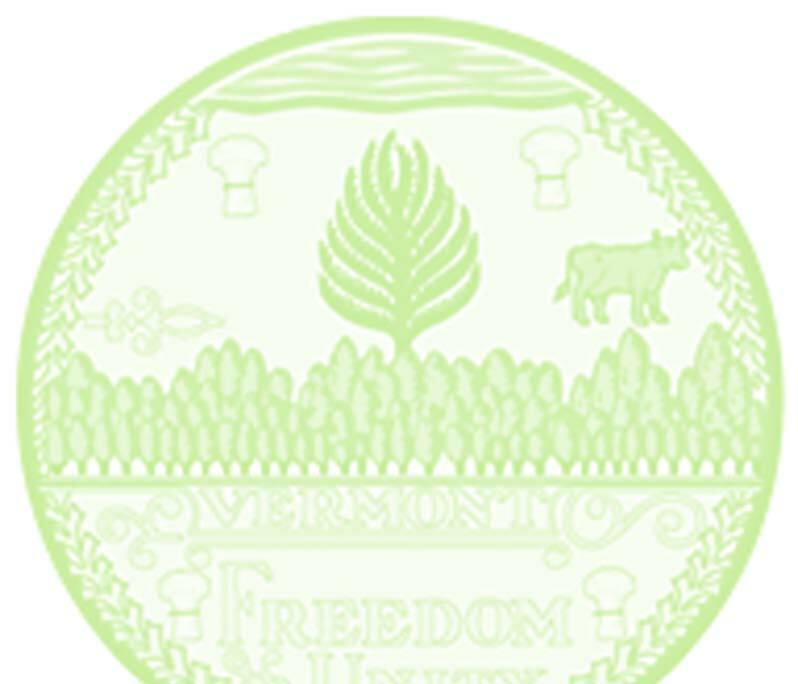 At the lead institution, the University of Vermont (UVM), we have developed state-of-the-art facilities for Microarray and Proteomics to provide to researchers across Vermont the resources they need to carry out world class research and compete for federal funding. To address workforce development and its diversity, we build cultures of research by supporting faculty and student research at our Baccalaureate Partner Institutions (BPIs): Castleton, Johnson and Lyndon State Colleges, Middlebury College, Norwich University, Saint Michael's College and Green Mountain College. We also work with students in college lab classes throughout Vermont in order to bring state-of-the-art research resources into their education. Lung disease is a significant cause of mortality and especially morbidity in the U.S. While the other six leading causes of death have decreased over the last decade, all forms of lung disease continue to rise. If we are to make significant progress in combating this pressing health problem, we will need to have trained scientists and resources to study the causes and cures of lung disease. 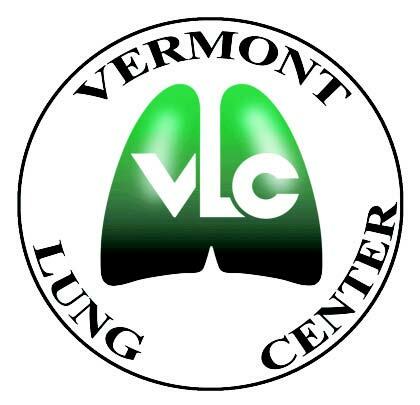 The Vermont Lung Center (VLC), a Program on Lung Biology and Disease, has been in existence at the UVM College of Medicine since 1972. It has had a rich and productive past that has a significant impact nationally. The keystone to the VLC program is translational research. The goals of the VLC are to investigate the mechanisms of lung biology and disease, and to program and retain outstanding translational research at UVM. Our key product is excellence. 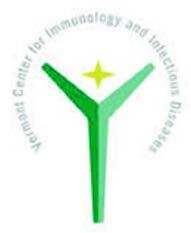 The Vermont Center for Immunology and Infectious Diseases (VCIID) is designed to integrate the studies of immunology and infectious disease since the primary function of the immune system is a defense against infection. Microorganisms interact with two fundamental components of the immune system, the evolutionary older innate immune system using largely invariant nonpolymorphic receptors, and the newer adaptive immune system that uses highly polymorphic receptors. Center investigators are examining genes that regulate the pathogenicity of infectious organisms as well as how the immune system responds to these agents. Some of the findings will lead to better vaccine development. The primary goal of the Center of Biomedical Research Excellence (COBRE) in Neuroscience, created in 2001 by a grant from the NIH National Center of Research Resources, is to enhance Neuroscience research and training infrastructure across multiple colleges at the University of Vermont. Two sophisticated multi-user research cores: an Imaging/Physiology Core, which provides access to sophisticated imaging equipment dedicated to live imaging and a Cell/Molecular Core, which provides personnel and access to sophisticated equipment required to complete cellular and molecular biology experiments, are supported by COBRE funding. These multi-user facilities are a critical, unique resource for faculty, postdoctoral trainees, residents, and graduate, medical and undergraduate students. Multiple multi-year research projects and one-year pilot projects for junior investigators were funded in the first 10 years of the award. 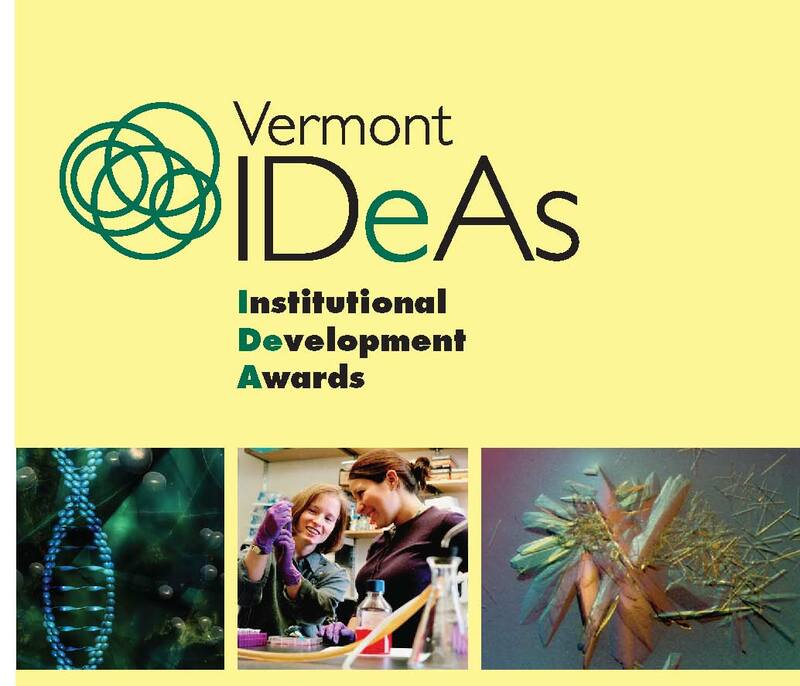 Vermont investigators have been awarded morethan $136 million through the IDeA program.